Forex Trading Forum for 5 $. I am well experienced in Forum Posting because i am a Forex trader. My post will be totally unique and innovative on your Forum. Grammatical terms and spelling will be correct. i wish that you will be glad to get my service. So, dear sir don't get any late and order me now. 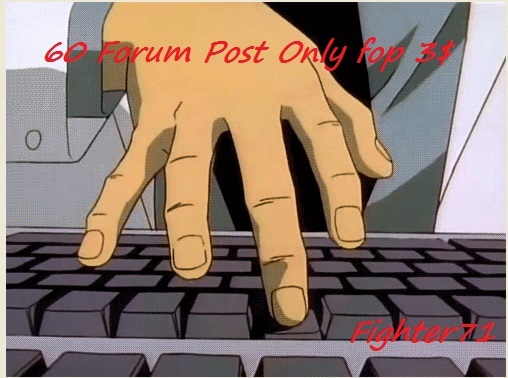 I will post uniqe 60 Thread or Reply on your forum is ranked 5 out of 5. Based on 1 user reviews.